D+P client, Symbiotix, a specialized medical communications and marketing agency that leverages science through distinctive programming aimed at healthcare professionals (HCPs), has been acquired by Havas Health, a world-leading healthcare marketing network. Symbiotix was founded in 1998 by its principals, Tim and Jo Ann Rice, PharmD. Its headquarters are in Lexington, Ky., but around 40 percent of its staff is deployed in field offices near clients’ locations in California, Illinois, Pennsylvania and the New York Tristate area. 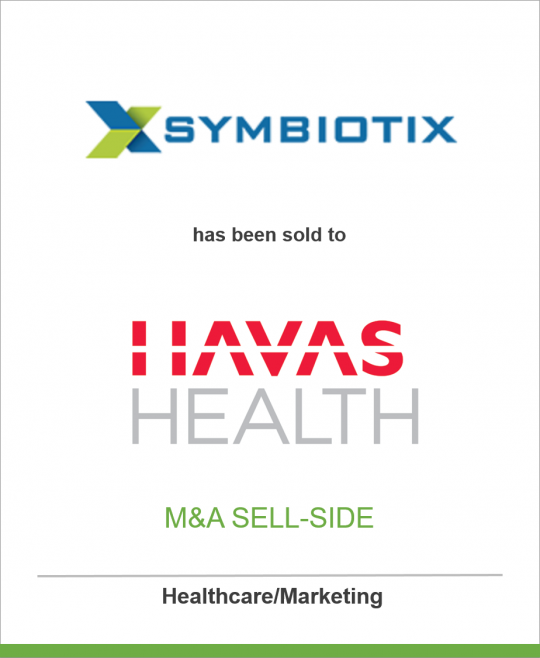 Symbiotix founders Tim Rice, CEO and Jo Ann M. Rice, PharmD, COO, added: “We are proud to be joining the Havas Group. This is an enormous opportunity for the talented Symbiotix team and our clients. We are committed to driving the market forward in partnership with the entrepreneurial spirit of the Havas team and expanding our footprint at the intersection of science and strategy. We are especially excited with their commitment for a long-term professional partnership between our organizations, their desire to retain the spirit and energy of Symbiotix and their commitment to give back to the communities that we serve.” Symbiotix targets HCPs because its founders believe that no HCP changes his or her practice without compelling evidence. Leading from this philosophy, Symbiotix has developed strategic insights and expressed them through creative and innovative deliverables; to that end, Symbiotix uses its agility, competency and savvy to make its clients’ message compelling and clinically relevant in a way no other agency can. The executive leadership of Symbiotix will remain, with Tim and Jo Ann Rice retaining their respective positions, Sally Jagelman as president and John Ponsoll as executive vice president. The corporate headquarters will continue to operate from Lexington.